This is one of the gimpier offerings from William Powell and Myrna Loy, a pair known for their sophisticated brand of comedy that triumphed in such fare as The Thin Man and Libeled Lady. 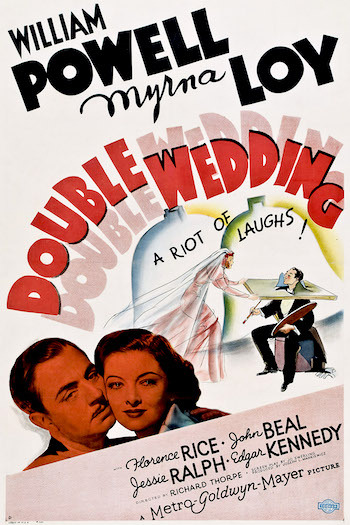 Double Wedding is one of those zany screwball comedies where a wacky guy and an uptight gal have to overcome their natural inclinations to be wacky and uptight before they can admit what we all knew going into things: that they’re really, truly, madly, deeply, in love. We all know how Double Wedding is going to play out (lots of bickering, sudden appearances by people from the past, crazy schemes to get hitched, people getting conked on the head by stuff, and even a fake beard! ), so you’re hoping that either the stars are watchable or the story is funny and preferably both. It pains me to report to all you Powell/Loy fanatics out there that no one can be bothered to get too pumped for a script that’s long on yakking, but way short on yuks. In fact, I don’t remember laughing out loud one time during its eighty-seven minute running time. Myrna Loy plays Margit Agnew, an uppity successful dress shop owner who has her sister (Irene) and her sister’s boyfriend living with her. Margit is simply following in her mother’s footsteps in controlling Irene’s life. I think their mother picked out Waldo for Irene and now Margit has decided when Waldo and Irene are going to get married. To all this domestic suffocation, add a dash of crazy artist Charlie Lodge (Powell), and you’ve got yourself a recipe for tepid relationship misunderstandings. 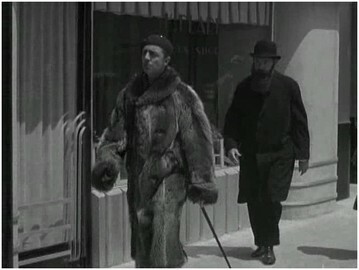 You know the sorts of misunderstandings I’m talking about – the kind where Charlie pretends he’s going to marry Irene all in an effort to simultaneously get Waldo to grow a backbone and take charge of his relationship with Irene and to get Margit to realize that she loves him and should marry him! Obviously, when you actually try to communicate the plot machinations of these 1930s screwball comedies in writing, they barely ever make any sense. These are the sorts of things that you need to actually experience in all their over-the-top helter skelter fashion. The good ones work because things hurtle along so fast that you’re too busy trying to keep up with them to stop and consider that nothing is terribly realistic or that coincidences piled atop coincidences don’t really add up to a story. Just how in the world does Charlie Lodge get tangled up with Irene, Waldo, and Margit? Well, the movie starts with him having Irene and Waldo reading a script. Neither Waldo, nor Irene seem to have any natural affinity for the silver screen. Charlie therefore has to try to show Waldo how to do things with more “yumpth”. Such as making out with Irene! Margit gets wind that Irene and Waldo are hanging out all night with this guy and doesn’t like it one bit. She tells Charlie in no uncertain terms that he can’t be hanging around Irene and Waldo and messing up the wedding date that she’s already mapped out for those two. Charlie and Margit come to one of those agreements that while prevalent in such old movies, are nowhere to be found these days except maybe in television sitcoms. 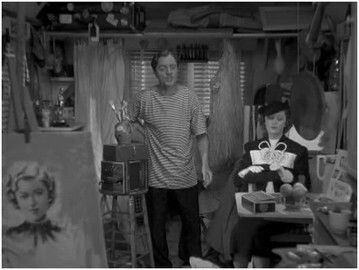 He agrees to stay away from Irene and let her marry Waldo and Margit in exchange agrees to hang out with him for three weeks and pose for a painting he’s working on. As crazy as this gag sounds, it provides just the vehicle for love to blossom between Charlie and Margit. Going on picnics in the woods (I wasn’t sure how that related to him painting her portrait, but every artist has his own way of dialing up the muse) allows Margit to see that Charlie might not be the jerky artsy-fartsy cad he portrays and since Charlie is a guy, he just knows she’s hot and doesn’t actually need any “getting to know you” time. Things get complicated after Charlie gets thrown in jail for punching out a guy saying mean stuff about Margit and has trouble getting back to his trailer before Margit finds out that Irene is there waiting for him. Things seem to muddy up a bit from here on out as we suddenly are told that everyone thinks that Charlie is going to marry Irene. I don’t know if Irene was in on the gag, but if she wasn’t, I don’t know why she would be messing around with Charlie because there is never any doubt that she really likes Waldo. 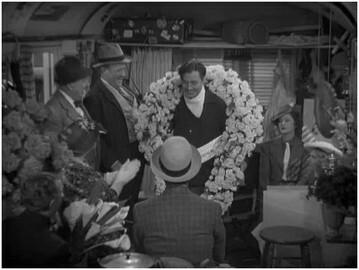 Things culminate in a wedding at Charlie’s trailer for him and Irene and it all wraps up with a predictable and not-very-interesting chaotic riot at Charlie’s trailer. Though I desperately wanted to like a movie where William Powell was living in a trailer parked in the parking lot next to his diner hangout, there just wasn’t anything terribly funny or engaging about any of it. Charlie and his scheme never made much sense and more damning, wasn’t even “out there” enough to be either memorable or amusing. The bits where Powell is trying to teach Waldo how to be a primitive man and take back control of his relationship are the best parts of the movie, but those antics should be throwaway bits in a movie like this. You need to have some wit and fire between the two principals, but Powell and Loy have this “been there, done that” vibe going. A punchless physical comedy that’s a failure in spite of the stars. And they seem to know it, even as they’re doing it.